All reservations booked 4 or more months in advance. All groups of 4 or more rooms for any dates. *All non-refundable deposits equal to the 1st night's room rate will be charged at the time of booking. 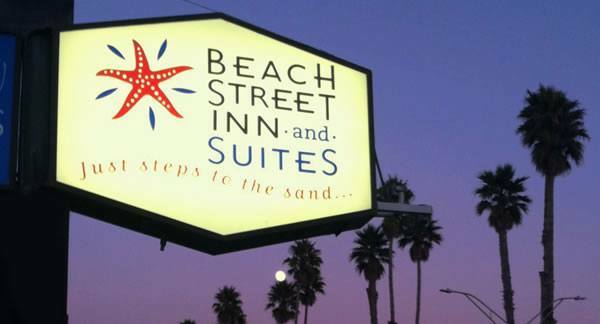 Beach Street Inn and Suites is committed to the principles of eco-friendliness. This clean, green approach is reflected in the cleaning products we use; our recycling; our use of low voltage lighting, energy efficient appliances, low flow toilets and more.